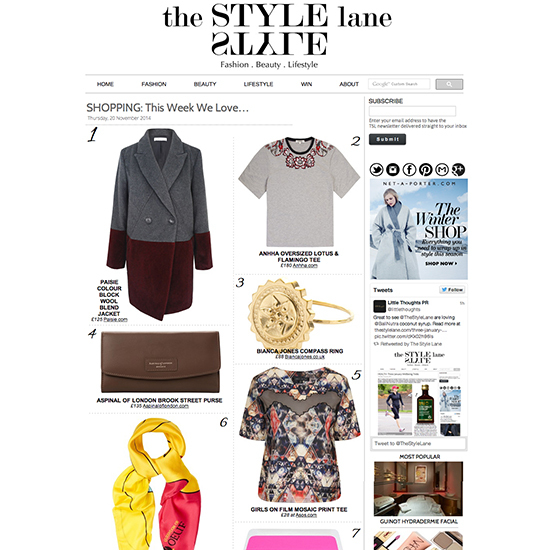 This week Style Lane loves Bianca Jones Compass Ring. We were super excited to see Bianca Jones’ stylish and extremely unique Compass Ring amongst the top picks of The Style Lane. Our beautifully hand made ring certainly captures the essence of the true wanderer. We also LOVE that The Style Lane has paired our Compass Ring with the perfect wintry coat needed for your adventure – the stunning Paisie Colour Block Wool Blend Jacket. For a true traveller feel, why not layer up with another must have accessary – Bianca Jones’ Anchor necklace. Get adventure ready with your compass ring here.